The OFFicyna Association, the organizer of Szczecin European Film Festival, is wishing you All a Merry Christmas and a Happy New Year 2018 filled with lots of cinematic emotions. Thank you All for your participation in the festival and significant contribution in its final shape. Let us meet again for another film events in 2018. MERRY CHRISTMAS! Festival warm-up ;) that is West Pomerania Shorts again! Selection of the best short films from our region in Kooperatywa Łaźnia (Koński Kierat 14-15) on 18th October at 18:00. Those who were at the competition in June already know that is worth to join us, and those who couldn't be there we really welcome to participate in this pre-festival warm-up of mind, emotions, eyes, eyelids and ears ;) Taka a look! SEFF in Łódź! Take a look at design; a screening of films dealing with the subject of service design, industrial design, craft, and the emergence of brands worldwide. The presentation will be taking place during the Łódź edition of Polish Design Island as part of Łódź Design Festival (October 4th until October 6th 2017), with the screenings complementing the international PDI exhibition presenting the products of 30 designers from all over Poland. The selection encompasses European films chosen by the Szczecin European Film Festival programme committee. Place: Mobilny Instytut Kultury Art Inkubator Łódź For Free! Submissions to the 2018 East Doc Platform are now open! Październikowy Szczecin European Film Festival odbędzie się w dniach 19-23.10.2017 r. W oczekiwaniu na kolejne niesamowite wydarzenia, zapraszamy do nostalgicznego powrotu do czerwcowej części festiwalu wraz z załączonym filmem. SEFF MINI - Filmowy Plac Zabaw jest punktem programu dla najmłodszych kinomanów. To połączenie planu zdjęciowego, pracowni animacji z warsztatami filmowymi dla dzieci i najmłodszych. 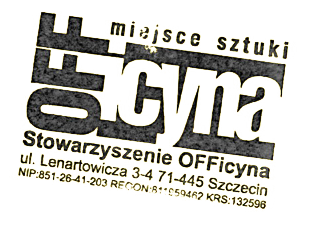 Miłego oglądania! Partnerzy: Las Sztuki, Dom Kultury 13 muz, Stowarzyszenie Kamera, Galeria Przepraszam Tworzę się. European Competition - we know the finalists! Rügen International Film Festival seeks for film productions! Up to June 21st 2017 our partner from Germany accepts film submissions to "Local Heroes" competition, dedicated to filmmakers from Euroregion Pomerania (Poland and Germany). They seek for feature and documentary films. More details by the link below: https://www.ruegenfilmfestival.de/2017/06/30/filmeinreichungen-fuer-local-heroes/ We recommend and encourage to take part in the competition! We know the winners of Zachodniopomorskie Shorty - SEFF'17! We know the results of POP SEFF! We know the winner of TELEFON ART - SEFF'17! The finalists of Zachodniopomorskie Shorty 2017! Another award for the winner of this year's edition of Szczecin European Film Festival in the amount of 10 000 PLN has been given by the Marshal of the West Pomeranian Voivodeship, Mr Olgierd Geblewicz. Thank you very much Western Pomerania. Who is going to receive it? We will find it out in October during the autumn screenings of SEFF'17. Honorary patronage President of the Szczecin city (Piotra Krzystka) on Szczecin European Film Festival '17.